Julia Bradbury and Ore Oduba present a guide to the British public’s favourite 100 walks, showcasing the results of a survey taken from over 8,000 British walking enthusiasts to find the nation’s favourite. As the countdown began, we eagerly awaited to see what trail would come out on top…but the programme also served as a reminder to the sheer amount of beautiful natural spaces across the British Countryside, all inspiration for the next big adventure! Didn’t catch it the first time? You can watch it again here. If you’re feeling inspired to visit some of the 100 walks featured, we’ve got a diverse selection stretching the length and breadth of the UK to help you on your way. You’ll find details below of our selection of walking holidays from the nation’s top 100 hiking trails. We live in a stunningly beautiful country – so let’s get out and explore it on foot! Miles of wild and unspoilt coastline make up Wales’ largest island, with a multitude of fascinating historical and geological sites as well as nature reserves – over 95% of the island is an Area of Outstanding Natural Beauty. 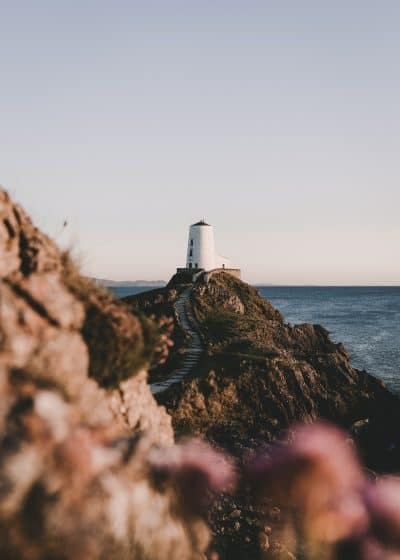 Route Highlights: The atmospheric and popular retreat of Llanddwyn Island is a picturesque cove jutting out into the Irish sea. At the farthest point, you have the distinctive Tŵr Mawr (Big Tower) lighthouse. Not quite an island, Llanddwyn is easily reached by foot at all times bar exceptionally high tides. The Llangollen Canal is part of our short break exploring the valleys and hilltops of the border between England and Wales. From the quaint borders village of Llangollen, you’ll embark on a journey that takes in ancient abbeys and the sweeping panoramas over Welsh countryside from the hilltop fort of Dinas Bran (Full Route: 33 miles). 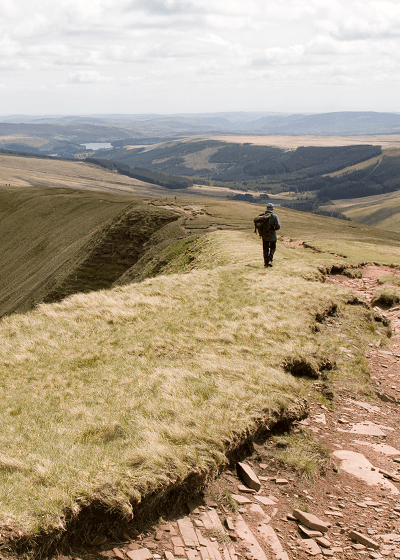 The Brecon Beacons National Park hold some of the most awe-inspiring views found across Southern Britain, with a sky-scraping walking route that offers panoramic views over the surrounding Welsh countryside (Full Route: 100 miles). Discover a tangible sense of walking through history with this route crossing Britain’s longest ancient monument. The trail follows traversing the Welsh border through the Wye Valley to Monmouth, past Hay-on-Wye into the Shropshire hills then Clwydian Hills that give way to Prestatyn. The Pembrokeshire Coast National Park offers some of the most pristine and wild coastline found in Britain – all open for discovery with its own dedicated National Trail. Along the way, you’ll take the clifftop paths that link the region’s villages and colourful towns to the coves and bays scattered along the shoreline (Full Route: 186 miles). No other beach in Britain has enjoyed more acclaim than the 3 miles of golden surf stretching over the shorelines of the Gower coast. 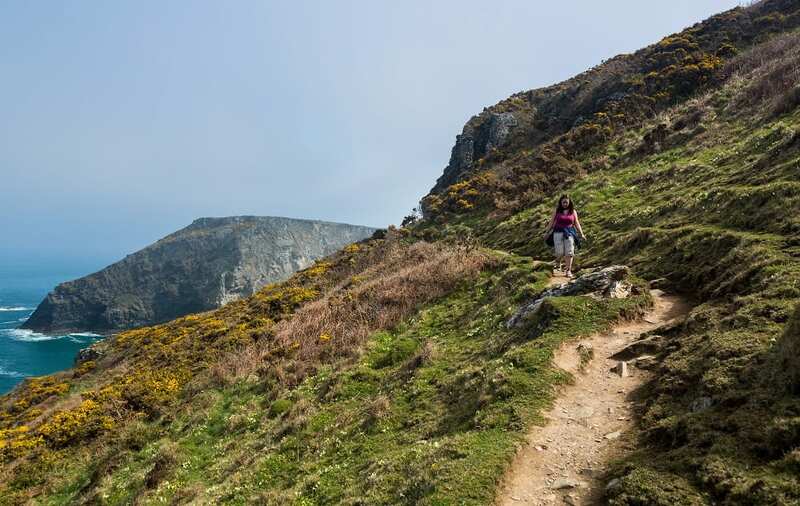 From the coast at Rhossili there are various trails linking breath-taking natural views with the areas town, villages and historical sites (Full Route: 43 miles). 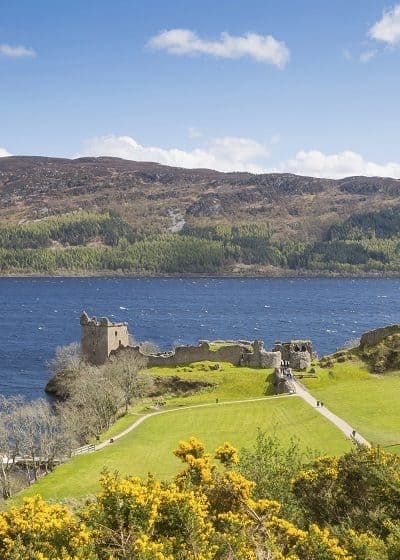 Stretching coast to coast across Scotland’s rugged highlands, this route travels from Fort William to Inverness along the Great Glen Fault. Cross the entire length of Loch Lochy, Loch Oich and the forests above Loch Ness as well as the Caledonian Canal that links them. Read an account of this section from one of our walkers. 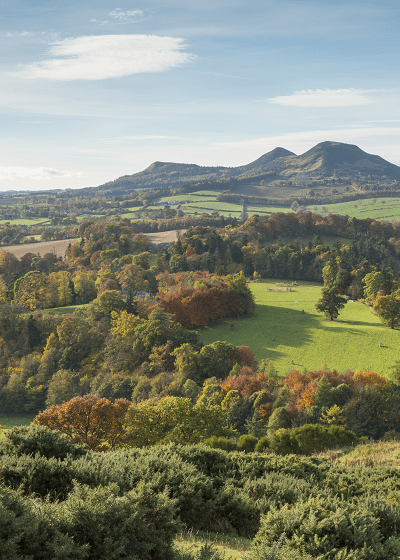 From the Firth of Forth in the south, to the Firth of Tay in the north, this trail offers an insight into the wild, natural spaces of Fife as well as the cultural highlights of St. Andrews and the thriving wildlife numbers that populate the coast of Fife. 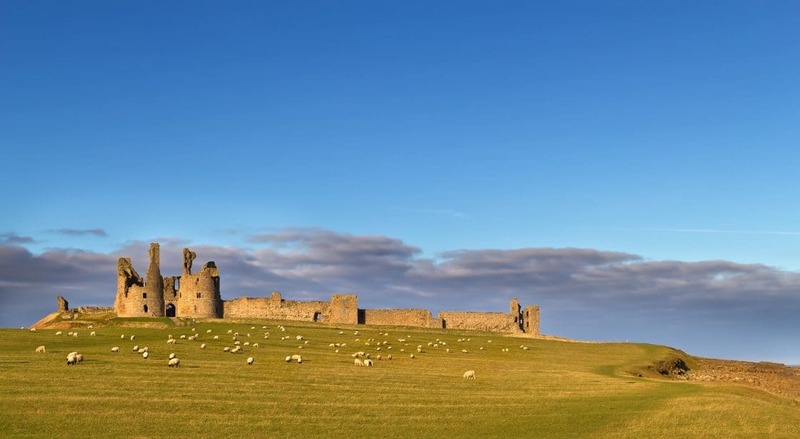 This pilgrimage route, crossing border towns through the Cheviot hills to Lindisfarne Abbey and Holy Island is a prime example of the sense of a journey that long-distance walking can inspire. Read an account of this route from one our walkers here. Anyone seeking quintessential highlands scenery would be hard pressed to do better than the West Highland Way, a route through the dramatic landscape that has proved hugely popular with hikers year upon year. The quiet, understated beauty of the rolling hills and far-reaching views of the Yorkshire Dales are the setting for this journey across from the Dales National Park to Lake Windermere in Cumbria. From the quiet fishing along the coast, to Holy Island and the genteel surroundings of Berwickj-upon-Tweed, the Norhumberland Coast PAth offers much in the way of a varied walking experience. walk along the coastline, starting in the town of Alnmouth and ending with the phenomenal Warkworth Castle. The bay has miles of golden sand and is located on the mouth of the River Aln (Full Route: 64 miles). 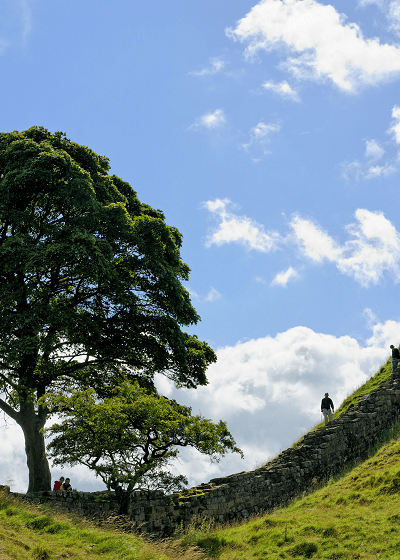 A UNESCO World Heritage Site and the most ambitious structure built in Roman Britain. Forming part of the Pennine Way, this route offers some fantastic views over the crags and moors of the Northumbrian wilds. This is an ideal route for peace and tranquility, especially when you consider the fact you’re walking across the most lightly populated region in England. The trail incorporates scenic coastal routes with the lesser-known inland paths that visit sites associated with the titular saints battle to introduce Christianity to the area. (Full Route: 97 miles). The Cleveland Way can be broadly described is as a walk of two halves, from the North York Moors to the fishing villages and colourful towns of the coast. Where the route drops down from the cliffs to meet the coast, the seaside town of Whitby and the old smugglers cove of Robin Hood’s Bay make up some of the more memorable points along the coastal section of the Cleveland Way (Full Route: 110 miles). A high level route across Britain’s newest National Park following the fields that stretch for miles over the chalky hills. 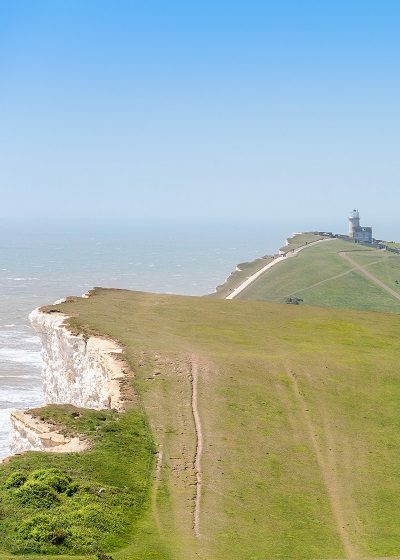 Following the route from Winchester to Eastbourne, the sea views from the Seven Sisters cliffs are a memorable feature of an ideal introduction to long-distance walking. These truly iconic group of rocks and the surrounding area offer a walk steeped in beauty and history. 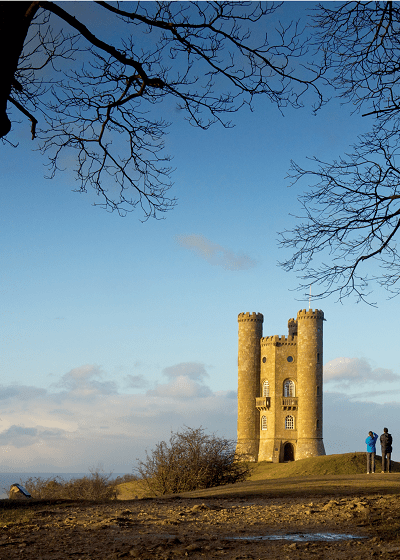 Take in a 19th-century fort, a cold war rocket test site and the memorial to Alfred, Lord Tennyson, the Victorian Poet Laureate (Full Route: 68 miles). Route Highlights: A landscape beloved of the Victorian Poet Laureate, Alfred, Lord Tennyson, the route down to The Needles encompasses a 19th century fort, cold war rocket test site as well as the distinctive geological wonder of The Needles. A route through the largest Area of Outsanding Natural Beauty in England and Wales, you’ll meet picturesque villages and large stretches of idyllic, rural countryside on this walk through a classic English landscape (Full Route: 102 miles ). The route follows the contours of the region’s chalk downs, an ancient trading route for travellers looking to scout out a potential ambush from the vantage point of The Ridgeway’s high level track. Due to this original function, you’ll find a relatively easy, peaceful walking route though meadows and wood, with far-reaching views over the Chilterns Area of Outstanding Natural Beauty from the route, as well as its culmination at the prominent hilltop of Irvinghoe Beacon. Windmills and wildlife scatter the cliffs, fields and sandy coves of the Norfolk Coast, on a gentle walking route through pretty towns and traditional seaside resorts. The area is renowned for its thriving wildlife population, with the reed banks, wild coast and sprawling salt marshes attracting a wide diaspora of birds and marine life. This popular walk across some of the nations most popular stretches of coast takes in many picturesque fishing towns and unspoilt stretches of coastline. 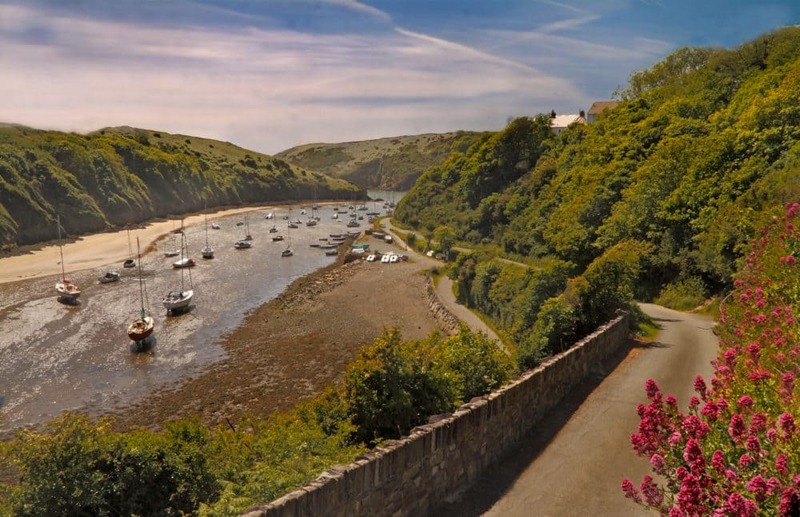 Travelling on foot, you’ll find parts of this region largely unkown to the casual tourist, with a multitude of historical monuments, quaint towns and quiet bays tucked between the folds and inlets of the Cornish coast (Full Route: 62 miles). When he's not sat at his desk tinkering with maps and guidebooks, you can find James trudging through hill and field - with a camera and whoever he's managed to rope along for company. 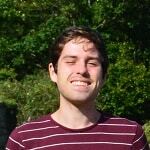 Jim is a local lad, with a great love of the outdoors - ideal for working from the heart of the Wye Valley! He has led on Celtic Trails' marketing since early 2017. Post published on: February 1, 2018. Last modified: March 6, 2018.